You've worked for many years and paid into Social Security. Chances are you never expected to become disabled, but one day you realize you can no longer work. Unfortunately, the government is not making it easy for you. Many applications for Social Security Disability Insurance (SSDI) benefits are often turned down. At Gary Martin Hays & Associates, our lawyers understand what you are going through. We also know how to deal with the Social Security Administration bureaucracy for our clients. If you were denied Social Security benefits, or need assistance with an SSDI case, contact an experienced Social Security disability lawyer serving Georgia. Call 1-800-898-HAYS today for a free consultation. Do You Need a Georgia Social Security Disability Attorney? The Georgia social security disability lawyers at the Law Offices of Gary Martin Hays & Associates are dedicated to fighting for the rights of disabled people in Georgia and the southeast. SSDI is a program that helps people with disabilities or medical conditions by providing benefits. The program is available for those who have worked at least five out of the last 10 years and are coping with a disability that will last for at least 12 months or result in death. Even if you think you have an obvious case for benefits based on your disability, you still may be turned down by the Social Security Administration. The government's criteria and definitions of disability may not match your description in an application - and you only have a limited amount of time to appeal a denied claim before your case is closed. In many cases, it takes an experienced SSD lawyer to help Georgians navigate through the complex Social Security process. With a tough lawyer by your side, handling everything from filling out your application to an SSD claim appeal hearing, your chances of receiving SSD money increases dramatically. We can put together a powerful combination of experience and resources to get you the results you need. We can help you through the series of steps that are part of the appeals process, the reconsideration, the hearing before an administrative law judge and further appeals. If you've been paying into Social Security, you deserve to be treated fairly if you need to file an SSDI claim. Let an aggressive Social Security lawyer in Georgia assist you. 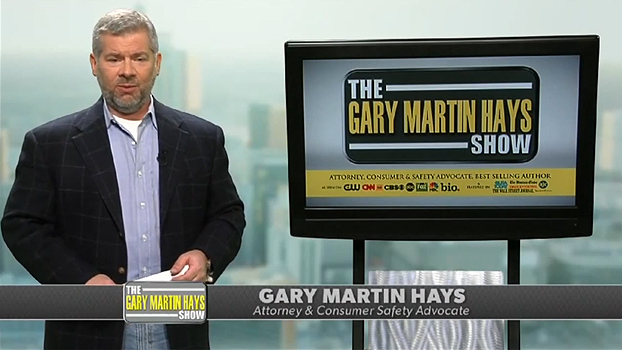 Contact Atlanta personal injury lawyer Gary Martin Hays & Associates today for a free consultation.